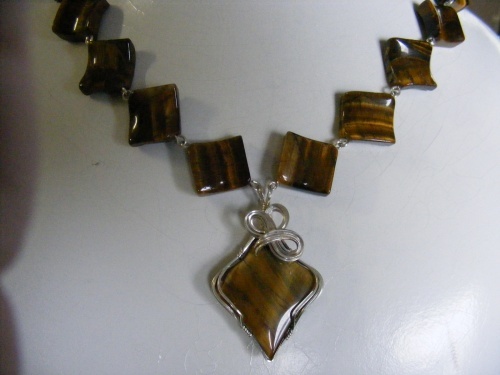 This very unusual and elegant necklace features beautiful tiger eye square gemstone beads with a matching focal sculpted in sterling silver swirls. Has an amber safety lock clasp and measures 20" in length. This is truly one of a kind! !